Verrazzano Bridge, NY (December 23, 2018) – Police responded to a two-vehicle accident that happened on the Verrazzano Bridge and injured three people, two of which were seriously injured. The accident occurred around 6 a.m. on Thursday on the bridge’s upper level. Firefighters quickly arrived to the scene, where they found that two people had been trapped in an overturned vehicle that was on its side. Two victims had to be extricated from the vehicle. Both people who were taken from the vehicle were transported to the hospital in serious condition. The driver of the second vehicle also received injuries but is expected to recover at the hospital. The cause of the collision is still under investigation at this time. First and foremost, we would like to extend our sympathies to those involved in this serious accident. We understand how difficult it can be to face the reality of an accident and would like to stand by your side. 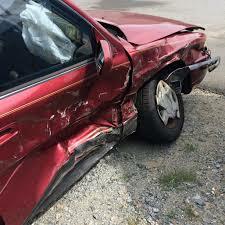 Our experienced car accident attorneys are willing to listen to you at this time. It is important to remember that, following an accident, you might have many rights as a victim of another party’s neglect. At Hach & Rose, our compassionate and dedicated accident attorneys are devoted to helping those affected by the inattention of other drivers. If you have been injured and you are unsure of where to turn as you move forward, let us help. Contact us for more information at 212-779-0057.